We’re about to hit the halfway mark of the Canada West basketball season, and UBC’s men’s team has so far seriously impressed. Following their weekend series sweep over the Victoria Vikes on November 1 and 2, the team posted two more series sweeps to bring their current win streak to six games. The ’Birds travelled to Manitoba to down the Bisons in Winnipeg, and faced Thompson Rivers (TRU) at home in a pair of blowout victories. Moving to 7-1 in their Canada West season, the team continues to find their stride as they’ve cruised their way to second place in the league standings. After three straight weekends of games that have seen the team outscore their opponents by an average of 20 points, there are a lot of positives to reflect on as they roll into their bye-week. After a number of stellar performances off the bench, including the series sweep of Victoria that saw him put up 46 points, veteran off-season pickup Manroop Clair has shifted into a starting role. In four games, he has continued his play as a sharp-shooter and free-throw expert, helping lead and shape the offense in his time on the floor. Through the first games of the season, the Thunderbirds’ scoring was largely generated by fellow senior Jadon Cohee. 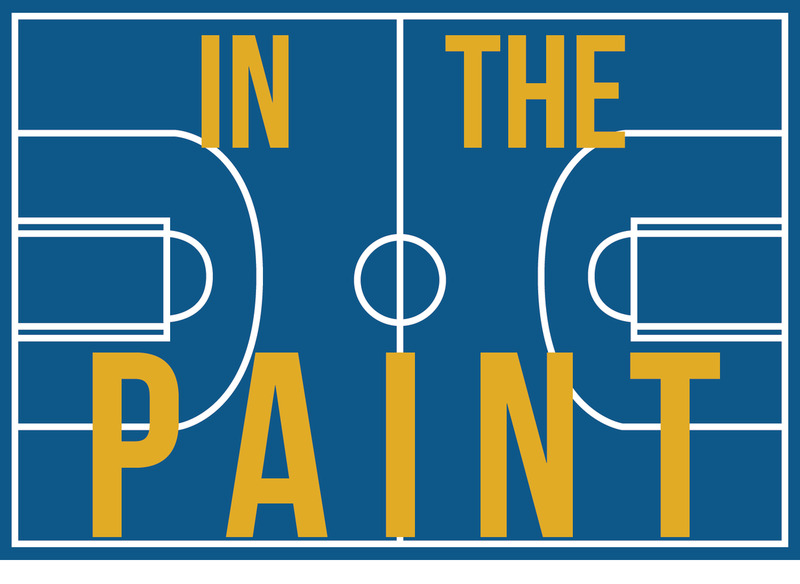 The last edition of “In the Paint” noted that he led Canada West in scoring. His production has since slowed, but he currently remains third in the league in total points, with Clair just two points back in fourth. The fact that Cohee isn’t putting up the same numbers as he was early in the season isn’t necessarily a bad thing. As Clair continues to adopt a role as a primary option for the T-Birds’ offense, Cohee has more of an opportunity to pick his spots. For instance, early in the season in the loss against Saskatchewan, Cohee put up 33 points, but did so on 28 field goal attempts and shooting just 27 per cent from the field. With Clair taking a larger portion of the shots, Cohee’s point totals are down, but he has shown the potential to be an extremely efficient scorer when needed The recent sweep of Thompson Rivers saw Cohee post back-to-back 20 point games, doing so shooting 62 per cent and 56 per cent from the field. This Thunderbird team continues to improve their attack as they share the offensive workload, letting the open man make the easy shots, rather than forcing the hand of any one player. Beyond just being a vocal leader on the court and the finisher of many of the Thunderbirds’ alley-oops, Grant Shephard has quietly been compiling a terrific sophomore season. As mentioned in the “Ones to watch” season preview, Shephard enters this season fresh off a stellar first-year campaign that saw him take home Canada West Rookie of the Year honours. So far this year, he has taken a step into a larger role that has seen him post some impressive numbers. As the team has started to click on offense with the long-ball, Shephard — who isn’t a three-point shooter himself — has continued to excel elsewhere on the floor. He’s among the top 10 in the Canada West in rebounds and blocks, and posting excellent defensive numbers — he is even more proficient in the offensive zone. Shephard sits third in the league for offensive rebounds, grabbing 30 on the year so far, and he is fourth in the league in field-goal percentage — second amongst players averaging more than 10 points per game. Even without being a top point scorer or a minutes leader, Shephard continues to be a dominant presence, and a powerhouse for the Thunderbirds. After the recent success the team has seen, there is little doubt that the squad will be able to continue their hot play and lock down a playoff spot. However, in dissecting UBC’s record and implications for the post-season, it is important to understand the concept of rating percentage index, or RPI. RPI is a metric used to rank teams for the playoffs, incorporating both win/loss record, and strength of schedule, based on who the wins and losses came against. Last season, though the team finished with the second-best record, they finished with just the third best RPI after a relatively easy schedule. Although a single spot in the rankings may not sound like a lot, there were important implications on the playoff structure. A third-place ranking meant that the Thunderbirds had to travel to face the Dinos at the University of Calgary for the Canada West semifinals last year, where they would drop a pair of heartbreaking losses in a clean sweep. Though the Dinos would ultimately go on to win the Canada West title and the national championship, last year’s UBC squad was undefeated at home. With an extra win in the regular season, their RPI would have given them a second-place ranking, semi-final home-court advantage and the potential for a very different outcome. This year’s team has already shown they should have no problem racking up a solid record – however, it is important to note who their competition has been so far. Between Saskatchewan, Victoria, Manitoba and TRU, the Thunderbirds have yet to play a team that currently has a record above .500, and their single loss came against the Huskies who currently sit at .500. 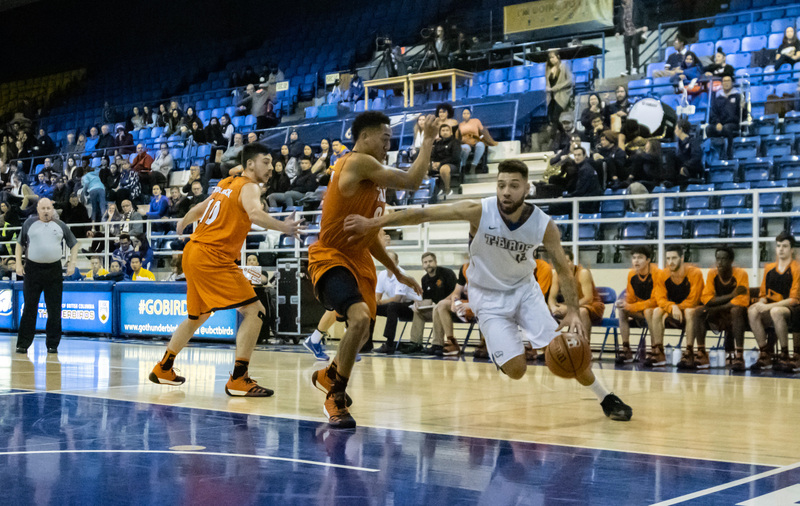 As the season carries on, UBC will have to face their toughest competition to date, including three teams with winning records: UBCO, UNBC and Alberta. Between these matchups and series with Brandon, Trinity Western and Mount Royal coming up soon, the team has their work cut out for them. The Thunderbirds can’t afford to lose games against middle of the pack squads. With an RPI system, they need to win regular season games against the top teams if they have any hope at a deep playoff run. The road to a Canada West title is an easier one if it runs through War Memorial Gym.